This work analyzes the social and environmental impact of colonial conquest and pacification of Africa through a case study of the Angolan-Namibian borderlands. These areas were exposed to three different systems of colonial expansion: German, Portuguese, and British (South African). This study demonstrates the interactions between social and environmental factors, structures and processes and shows that colonial conquest needs to be acknowledged as a major problem. 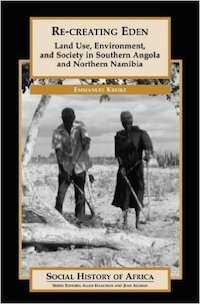 It includes in-depth analysis of the late 19th to 20th century processes of social and environmental change at the village, household, and individual levels. It illustrates how refugees managed to restore a workable environment without massive outside aid and despite colonial exactions.